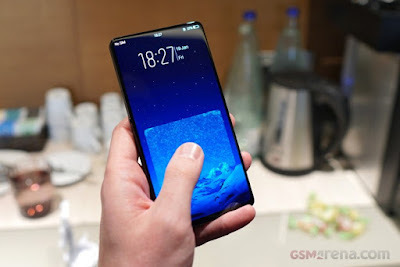 Vivo has introduced APEX FullView concept smartphone which features the world's highest screen-to-body ratio and Vivo's ground-breaking Half-Screen In-Display Fingerprint Scanning Technology. 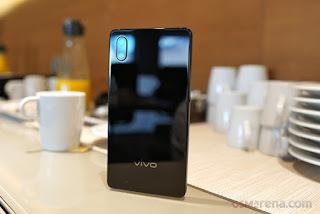 Vivo has taken its FullView technology to a whole new level by introducing new engineering breakthroughs in camera, speaker and sensor elements as well as rethinking the design structure of conventional smartphones. Vivo's pioneering approach in fingerprint scanning technology has resulted in the world's first Half-Screen Fingerprint Scanning Technology on APEX, building on the success of industry's first mass-produced In-Display Fingerprint Scanning Smartphone X20 Plus UD. The APEX features unprecedented top and side bezels of 1.8mm--the thinnest in the industry, with a 4.3mm bottom bezel. The screen-to-body ratio will exceed 98% if the bottom bezel reaches 1.8mm, ultimately creating truly bezel-less experience. Thanks to the flexible OLED platform, microchips mounted directly to the flexible circuit board enables the APEX 's staggering screen-to-body ratio. Leveraging its accumulated expertise in audio technologies, Vivo introduces Screen SoundCasting Technology with APEX, transforming the entire FullView Display into a speaker. The Screen SoundCasting Technology sends vibrations through the display without the need for a traditional loudspeaker. 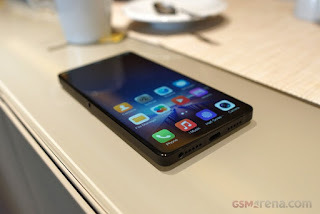 Compared to other audio solutions for bezel-less smartphones, it conserves power, reduces sound leakage, and optimizes low to high pith sound for a better and more balanced audio experience. Vivo has installed the world's first Half-Screen In-Display Fingerprint Scanning Technology in the APEX. Transforming the entire bottom half of the OLED screen, users can touch anywhere on the bottom half of the screen to perform fingerprint recognition, enabling a more flexible and intuitive experience while meeting industry standards for security. Half-Screen In-Display Fingerprint Scanning Technology also enables new usage scenarios, such as the new dual-fingerprint scanning feature in APEX for even greater strengthened security. APEX deploys a new System in Package (SIP) technology to integrate the DAC and the three operational amplifiers together, reducing the need for circuit board space by nearly 60% compared to previous Xplay6. As this frees up more space in the smartphone's interior, this technology can allow for increased battery size as well as cooling, thus opening potential for even more design improvements in future smartphones.